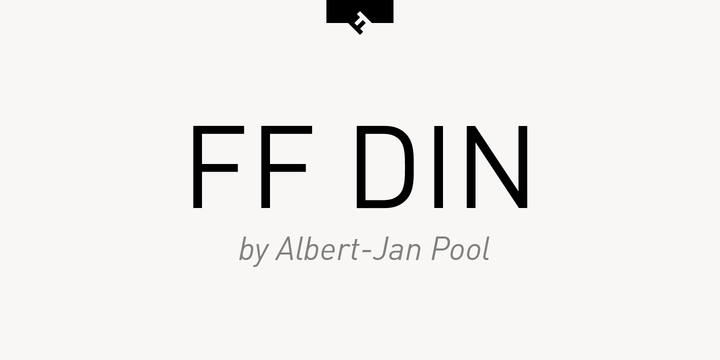 Dutch type designer Albert-Jan Pool created this sans FontFont between 1995 and 2009. 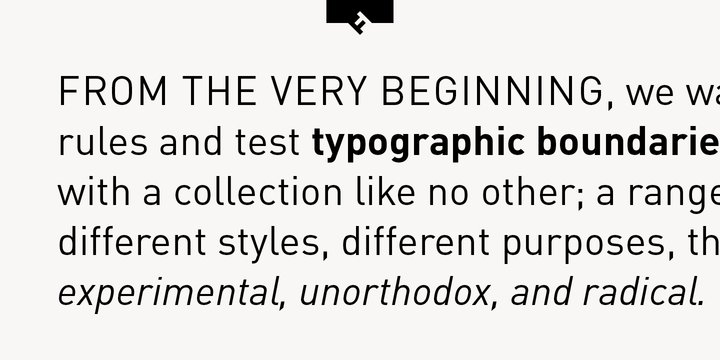 The family has 20 weights, ranging from Light to Black in normal and condensed styles (including italics). It is ideally suited for advertising and packaging, editorial and publishing, logo, branding and creative industries, poster and billboards, small text, wayfinding and signage as well as web and screen design. Looking for the new Thin and Extra Light weights? They are available through fontshop.com, linotype.com and fonts.com. FF DIN provides advanced typographical support with features such as case-sensitive forms, fractions, super- and subscript characters, and stylistic alternates. As well as Latin-based languages, the typeface family also partly supports the Cyrillic and Greek writing systems. 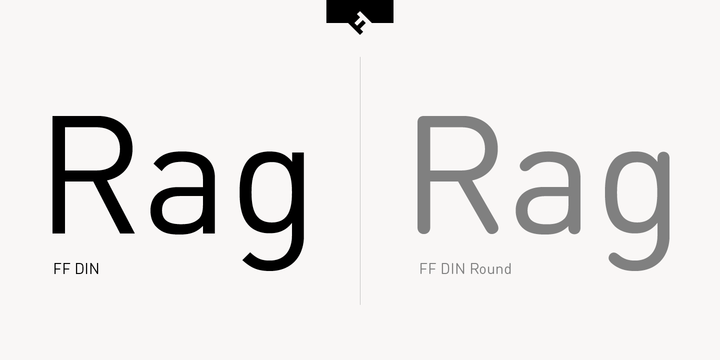 This FontFont is a member of the FF DIN super family, which also includes FF DIN Round.